Elite Memberships come with special perks! Become an Elite Member today and experience playing with our most tactical group of players on 2/6. 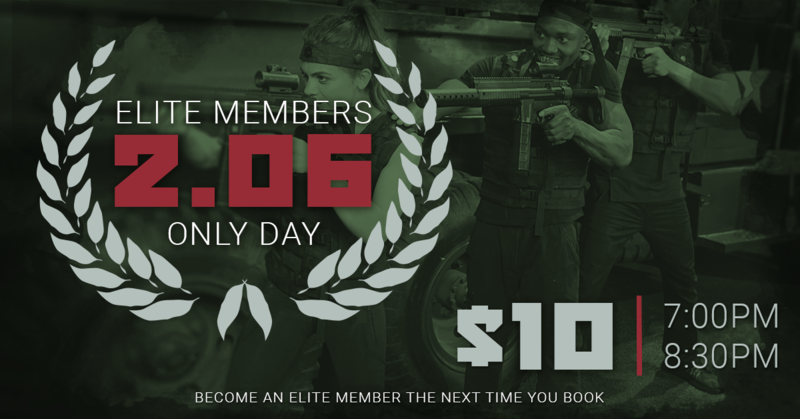 Our Elite Member days are filled with fierce competition, sharpshooters and good company. See you on 2/6!